Bloomsburg University is the educational destination for over 400 military students and has been growing steadily in recent years during a period of declining enrollment. What makes BU different from many other colleges and universities is our unique appreciation for the fact that military students have different needs and attributes than non-military students. The centerpiece of our efforts is the Office of Military and Veterans Resources, or as we like to call it — The Military Office. The Military Office differs from other colleges and universities in that we work for current and former military members, spouses and dependents, and ROTC cadets. We also have developed very strong relationships with area military recruiters in order to facilitate conversations for people who are interested in joining the military. 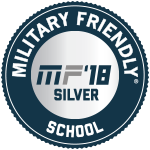 To assist with the overall integration, academic and personal success and retention of all military students, to include members of ROTC cadets, spouses and dependents, and current / former service members. To elevate campus awareness regarding military student population and associate their issues, challenges, and strengths. The Military Office — Led by a two-tour combat veteran who understands academic affairs, student affairs, and strategic enrollment. Staffed by current and former military members who are using the same benefits you are and will assist you in maximizing your benefits, getting assistance with financial aid, or helping with your military or civilian career goals and aspirations. Additional academic advising for all military students (on top of your major advisor) — Bob Heckrote is a dedicated professional who can explain every aspect from admissions to graduation. Military Academic Credit Review Board (MAC-RB) – An individualized process which ensures military service and experience is acknowledged as appropriate academic credit. This process is innovative, even path-breaking. It exists nowhere else in the Commonwealth of Pennsylvania. Only a handful of colleges and universities nationwide are doing anything so service intensive and academically grounded to support military students and veterans. GI Bill Certifying Official — Located in the Military Office to offer a one-stop experience. Military specific programming, guest speakers, and events created specifically with military members in mind. All military members who have graduated entry training receive two credits in healthy living which satisfies one of the 10 general education goals. A co-curricular learning experience (CLE) specifically for military members who have experience with other cultures (usually in the form of a deployment) — This CLE earns 2 out of the5 points needed for the cultures and diversity general education requirement- and it's FREE! Office Hours: Monday to Friday, 8 a.m. to 4:30 p.m.
One of the most common issues veterans face after coming home from a military deployment or after leaving active service is a sense of being lost and alone. These feelings can become even more magnified in the academic setting. The Military Resources Center is a safe place for current and former military members and military supporters to come and gather information relevant to their specific needs. The Military Resource Center is staffed by current and former military members who are knowledgeable of specific military needs and solutions, and will do whatever it takes to resolve any issues. The Military Resources Center is located in Student Services Center 204 and is open Monday through Friday, 8: a.m. to 4:30 p.m. Stop by for free coffee and to get to know your military network.